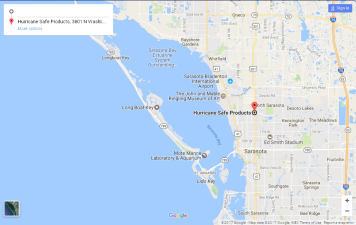 DIY Products for Sarasota, Bradenton & Venice, FL. Please use the form below to send us your measurements for “Do-It-Yourself” projects. To do so, simply enter each item you would like to order on its own line, in the text box for the approriate category. 1. Start at the front door and work clockwise. Number the openings. 2. When measuring your opening, you want to measure from the inside of the opening (buck opening.) Remember you are not measuring your window you measuring your actual opening. 3. Measure the width, then the height and round to the nearest inch. 4. Make note of any interference such as window sill, light fixtures, decorative bands, etc. 5. It is also helpful to take photos of the openings. NOTE: FOR CLEARTEK FLAT PANELS YOU WILL NEED TO ADD 3 INCHES EXTRA ON EACH MOUNTING SIDE.